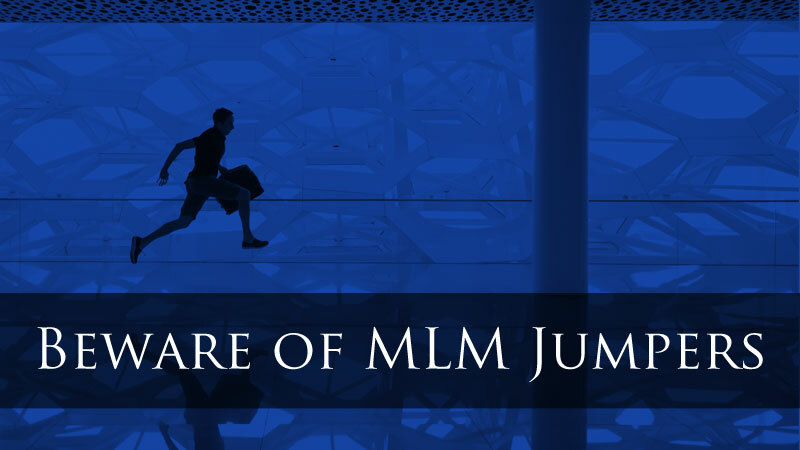 Home » Internet Marketing » Recruiting & Prospecting » Beware of MLM Jumpers – Avoid Them Like the Plague! You're about to meet a gentleman named Ray Higdon… Ray used to be what some would call an “MLM Jumper,” which is the #1 reason why our industry gets a bad rap in the first place! Then he figured out the “machinery” behind his actions and WHY he was jumping from company to company every 6 months, struggling, and losing friends and business partners along the way. So be wary of your “leader” if every few months a new network marketing opportunity is being shoved down your throat like clockwork. Enjoy the video, and thank you Ray for setting the example and being a ROCK! Ray Higdon is an L5 leader inside MLSP, best selling author and multi-million dollar earner inside network marketing. hahhaa, “how dare you!”. Love the facial expressions. Ray, love watching you in action…you DEF. get the message across. Awesome info-thanks for that. I meet soooo many people who've “been in the industry for years,” but have in fact been jumpers. I cast no judgment on them, but just reflect in gratitude that my first is my last. It is not anyone's place to determine who is, and who isn't an MLM jumper. Quite frankly there are many valid reasons many people drop and go…With the onslaught of unemployed, and displaced workers scrambling to survive in this turbulent economy…ones inexperience, lack of leadership, and uncertainty are key reasons for “jumping”….Besides, many of these new MLM start-ups are not worth the time. It takes a while for “newbies” to sift and sort through all the hype, bull, smoke and mirrors. There are many predators online seeking to siphon hard earned dollars off the inexperienced online opportunity seeker. Make it a great day..
Great points! Ray is the man! You deserve the best! hmm It's not in the post on my screen, and the sidebar is actually at the top of the screen, layout is completely off for me, could well be my browser now downloading an update and reinstalling maybe that'll solve the problem. what browser??? email support please… we are having no issues on our end, [email protected] thanks! Thanks for that video!I did the same mistake some time before! This is so true Ray. 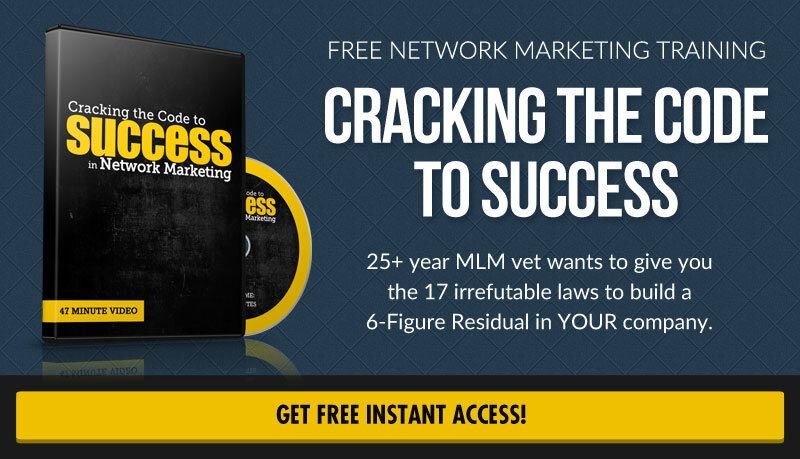 I see so many 'Leaders' in network marketing jump from one company to the next and wonder why they can't have any success and lose their loyal following. They lose that know like and trust factor with the ones they introduced to their previous company. It's so sad seeing people chase the next pipe dream. Good stuff Ray, I loved it. It was just what I needed! Stay in there men and don't give up the ship!!!! Thanks Ray for another life lesson that puts money in our pocket. Power definitely comes from focus. Focusing in a strong direction will yield strong results and a weak one, temporary or mediocre results. Focusing on something powerful, like helping others to build their success will yield much more powerful results than focusing on the reactions of others. Thanks for your honesty and leadership. Hey Ray thanks for this short but powerful video brother. I liked that quote you used- “my critics turned to crickets” that was pretty cool lol but besides that this was a great video man. It's unfortunate that people still jump from business to business. Jumping like that is not the way to make money and you definitely will not make money by being a jumper. If you stick to your guns, have an action plan and be consistent, I am pretty positive that will be more than enough to help ANYBODY succeed. Thanks again and I hope you are having a great weekend Ray. Thanks Ray for coming clean on all the companies you have been in. I, too, have done this to some extent. However, I must say that I truly love the products of the company I am currently working with (for 10 years now!). So I do think there is something to be said for finding a good match for yourself. Ray, your post came at the right timing for me. I've learned a lot from this topic and really truly understand how important leadership is. People can not depend on one leader… Looking at the leaders who I follow and seeing how they all work together and have unique qualities that work together makes a powerhouse! Thanks for your insights.